Continuing on in my (so far) monthly update of news from primarily regional (but not exclusively) Australian genealogy, history and heritage groups. This covers news from any group, society, museum, archive office throughout Australia. Some of the following news articles have been submitted to us, while others have been found from websites, newspapers and other articles. We love promoting genealogy and history throughout Australia and the smaller groups are just as important as the big state societies. So if you have news, events, need for help or donations, or have a request, please advise, we’d love to hear. 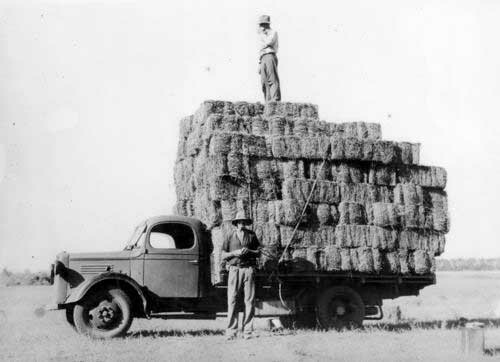 The Bega District News recently made mention of the recent Wood family reunion. The reunion centered on the descendants of Peter Horsman Wood (1838-1907) who once lived at Yarranung from 1869 to his death in 1907. When the Wood brothers arrived in Sydney in Jun 1860, Peter came to Bega while his else brother John went droving in Queensland and lost touch with the family. John spent his time well, and recorded his experiences in the form of a novel. The recently published “Tom Hurstbourne or A Squatters Life” can be bought from various bookshops. For more on this book there is a good write up on the GG Books site. 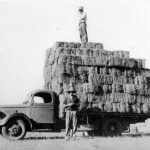 If you have queries or research relating to the Hunter Region (which encompasses Maitland, Morpeth, Murrurundi, Newcastle, Paterson, Raymond Terrace, Seaham, Stroud, and Wollombi), the Hunter Valley Genealogy website has a forum you can put queries on. 2010 marks the 25th year of the Manning Wallamba Family History Society, and they have been celebrating with various events throughout the year already. One thing they are doing all year is asking founding and long-term members to contribute their memories of the early day of the Society. These are being published in their quarterly journal The Fig Tree, which you can find on their website. The Gold Coast Family History Society (GCFHS) recently became an affiliated library of the Famiy History Library of the Church of Jesus Christ of Latter-day Saints (LDS). Access has been granted to over 2.4 million rolls of microfilm and 727,000 microfiches sheets. These can be ordered online at Family Search and viewed at GHFHS library for a nominal charge. Lindsay and Marcella Berry of Warwick have been painstakingly penning books on their family history. But these books are not available in any old book store. They are for the Berry’s personal library, a documentation of their lives for future generations. The series is called Smitten and the Berrys have already finished the first three instalments, with another four in the pipeline. Starting with themselves and recording their own history, they say there is plenty to come, with some future editions set to date back to their ancestors. The full article can be read on the Warwick Daily News. The South Australian country town of Avon held a reunion as part of SA History Week and at the same time the local district hall’s 50th birthday. Avon was once a vibrant little farming village and many have a story of either growing up in the community or visiting for some reason. Although this is a little late, and missed the reunion as they were asking for people who had stories relating to the town and its residents to contact them, I have no doubt that those organising the event would still love to hear from anyone who would like to pass on their stories. Email avon5501@yahoo.com.au or mail RSD Box 1050, Avon SA 5501. Also as part of the SA History Week 2010 celebrations, the Lobethal Museum recently celebrated it’s 50th Anniversary. This church museum also houses the little seminary, erected in 1845, the first three Australian-trained Lutheran pastors graduated in 1855. For inquiries regarding the museum please phone Rose on (08) 8389 6825. 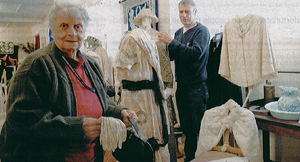 ‘The Courier’ newspaper recently reported that the privately owned National Costume Museum which has been on diplay in the former Onkaparinga Woollen Mill at Lobethal, now has a new home. Previously reported on Postcards, the owners of this spectacular 4000 piece collection, which contains items of clothing dating from 1812 through to 2000, rejected numerous offers from overseas buyers, as they wished for the collection to stay in South Australia. The collection will be left to the National Trust and it will be housed at the Millicent National Trust Living History Musuem. The City of Tea Tree Gully Local History room has embarked on a project to dicover more about the story of the men listed on the plaques on the War Memorial arch. Twenty-four men’s names are recorded on this memorial. Sixteen were born in this area, went to school, worked and married local girls from this area. Five paid the supreme sacrifice. Each one has an incredible story to tell. To learn more about this and other local history, contact the Tea Tree Gully Library Local History Room on (08) 8397 7467 or www.teatreegully.sa.gov.au. The Scorr Creek comminuty recently celebrated the opening of new clubrooms at the Scott Creek Oval. The Scott Creek History Group was involved by setting up a display of photographs tracing the history of the oval. The Yorke Peninsula Country Times reports that as part of the St David’s Day Copper 150 sesquicentenary celebrations held in Wallaroo, local historian and chairperson of the Wallaroo Heritage and Nautical Museum and National Trust, Colin Boase, presented a brief synopsis of the Welsh influence in Wallaroo and the history of the Welsh churches. As the Welsh were experts in the field of smelting, their services were much sought after in the 1860s. A number were brought direct from Wales to settle in Wallaroo. The full article can be read online here. The Sunday Mail recently had an article making mention that 100s of ‘character’ buildings and old homes across South Australia are at risk of demolition because of a perceived “lack of will” towards protecting the state’s heritage. In a survey it found about half of SA’s 66 councils (mostly rural), do not have heritage lists or registers that protect buildings of local significance. Among the 29 councils without heritage protection are Yankallila, Naracoorte Lucindale, Port Lincoln, Whyalla, Yorke Peninsula and the cradle of the state’s mining past, the Copper Coast. You can read the full article here. The Brighton Historical Society was a recipient of the Sir Rupert Hamer Records Management Award for providing greater understanding and access to community archives for cataloguing their entire map and plan collection. Volunteers contributed more than 500 hours to digitise the maps and plans. The originals are now preserved and copies are made available for the public to use. Fantastic work!! Congratulation to the Bellarine Historical Society, on their recent Sir Rupert Hamer Records Management Award. 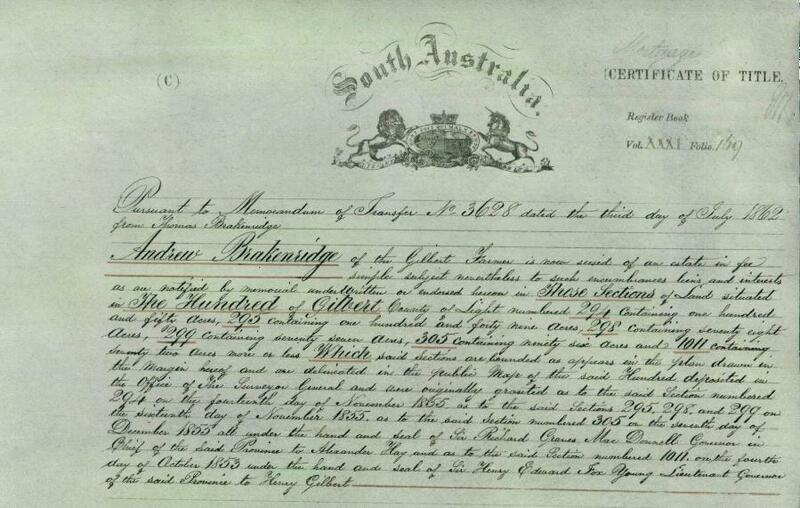 They were recognised for their work digitising and indexing original school registers. The project began after a committee member retrieved from the rubbish old records from two schools closed in the 1990s. The historical society has also transferred the original registers, indexes and photographs to PROV, and written a brief history of each school. So many records would be lost without groups like this historical society. Thank you for helping to preserve history!! Recent news on the Tracing the Tribe blog mentions that The Australian government will contribute $200,000 to develop the Zelman Cowen Gallery of Australian Jewish History at the Jewish Museum of Australia. The museum is planning to raise $1.5 million to bring the project to life. The government hopes its contribution will encourage the Jewish and general Australian community, State government and other sectors to support the project. The Jewish Museum of Australia was established to explore and share the Jewish experience in Australia and benefit Australia’s diverse society. This site provides information on the collections of Oral Histories recorded by members of the Harvey Districts Oral History Group. Also, includes Cemetery Records and other articles ofÂ historical interest relating to the Shire of Harvey and surrounding areas.